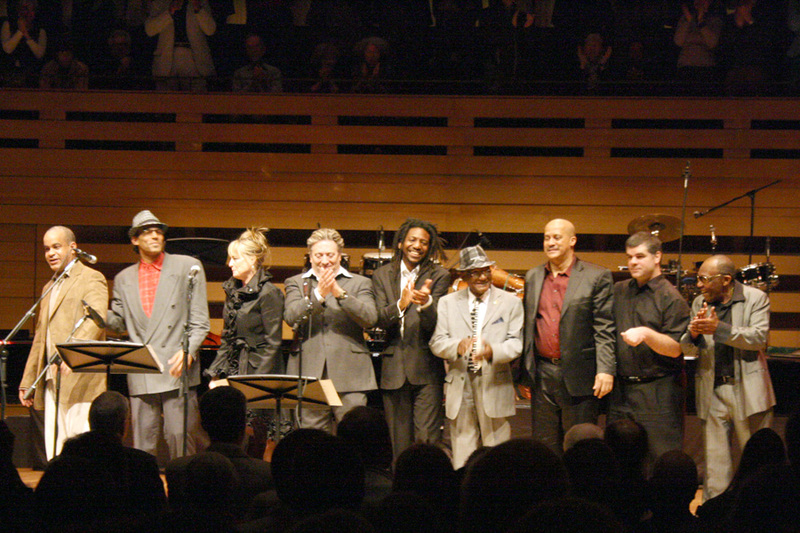 This unique musical group was first conceived in Havana, Cuba in 1992 at the National Theatre with the great Cuban pianists José María Vitier and the late Frank Emilio. 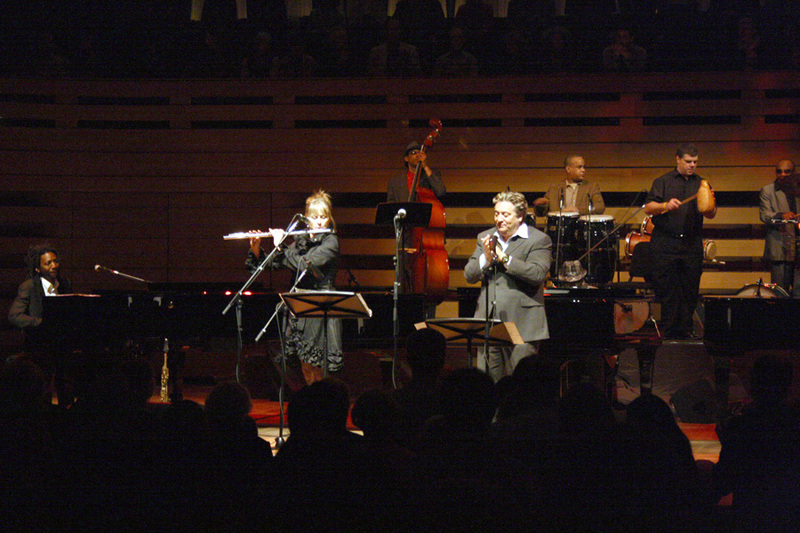 It was brought to fruition in Canada in 1993 with a ground-breaking concert at the Glenn Gould Theatre (CBC) and became Jane Bunnett’s recording debut for EMI/Bluenote. 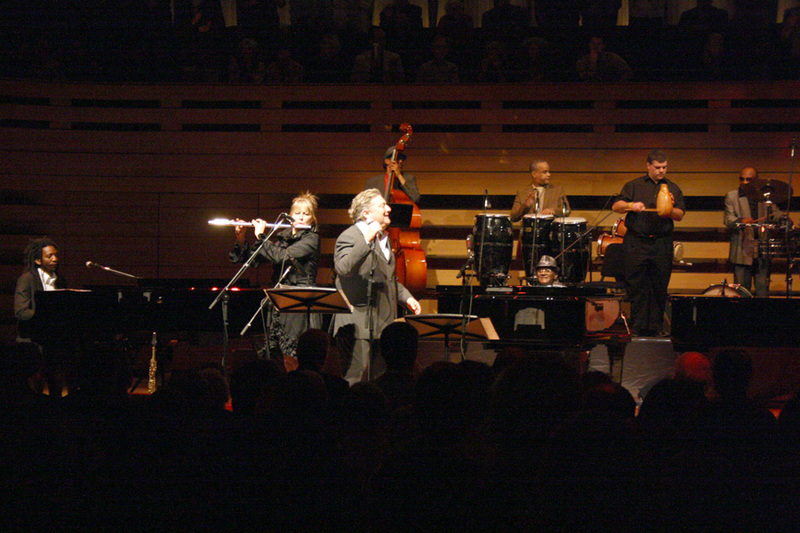 In 1997 the 2nd edition was presented at the Montreal Jazz Festival with collaborators Hilario Durán and Frank Emilio. 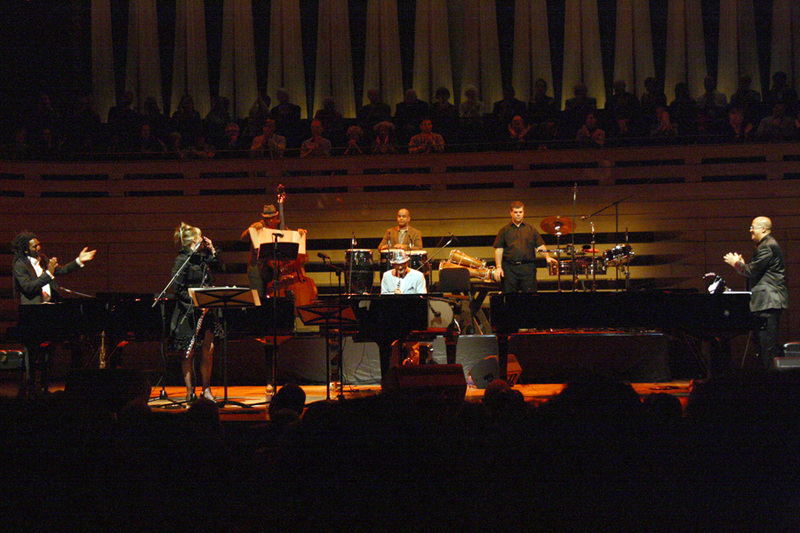 This concert was filmed by Le Spectre and shown worldwide as Jane Bunnett and the Cuban Piano Masters. 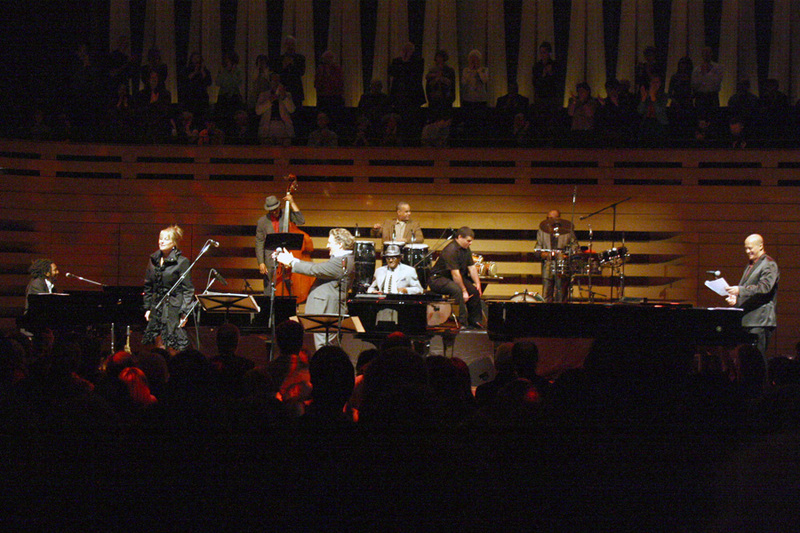 The superb new Koerner Concert Hall is a magnificent, state-of-the-art 1,135-seat venue located in the heart of downtown Toronto. 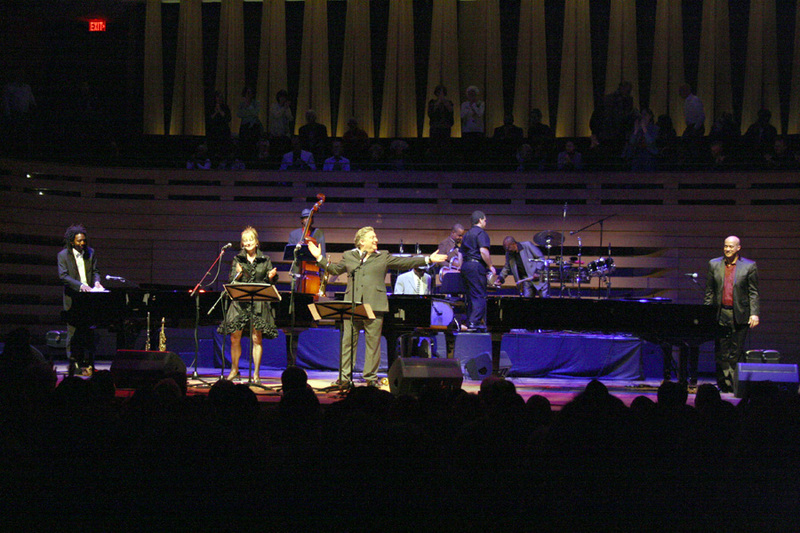 Koerner Hall is one of three stages housed under the TELUS Centre for Performance and Learning, which is the Royal Conservatory’s new Toronto home. The elegant, modern architecture, goes hand in hand with the exceptional acoustics of the hall. It has received unanimous praise by performers and spectators alike. 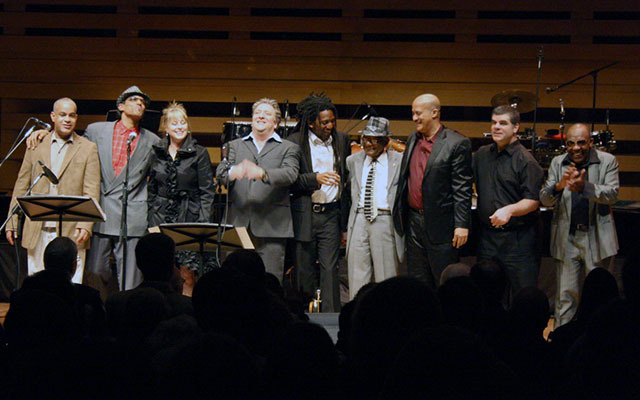 Jane Bunnett and The Cuban Piano Masters was the last show of a concert-series dedicated to exploring the roots and advancements of the tremendous fusion of Latin Music and Jazz, known under the umbrella term of Latin jazz. 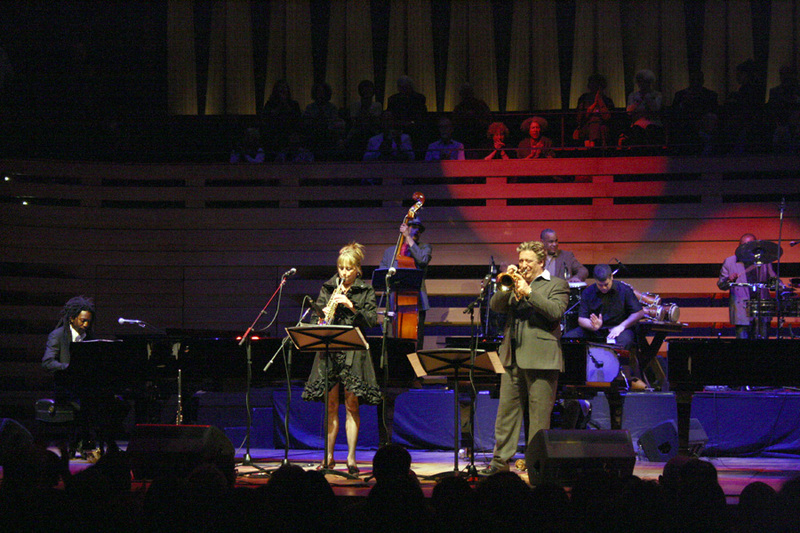 On Saturday, April 17, 2010, at around 8:00 pm, Jane Bunnett opened this special concert, soloing on her soprano, creating an almost sacred atmosphere in the magnificent Koerner Hall. 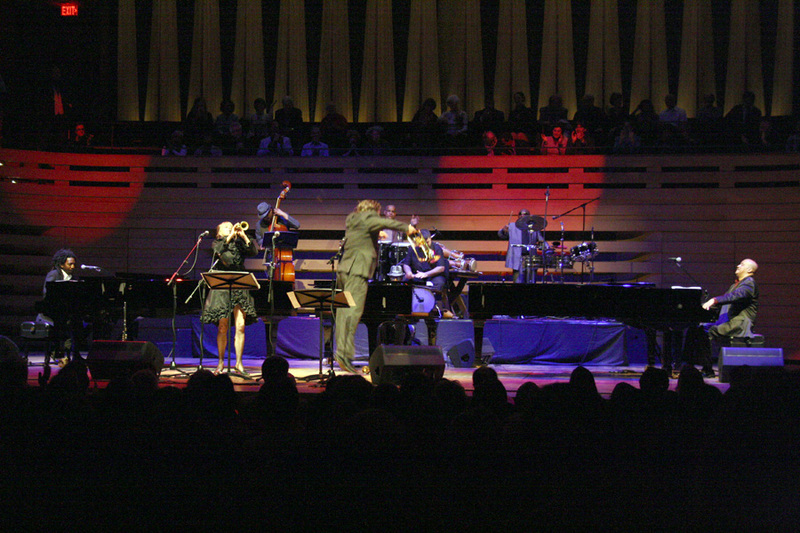 That was a fit preamble to one of the most famous compositions by Cuban composer Ernesto Lecuona, “La Comparsa.” One by one, the three pianos and the rhythmic section joined Jane Bunnett on a journey through popular, classical Cuban music and jazz. Next, Bunnett and Guillermo Rubalcaba joined forces as a duet on another classic piece, “Lágrimas Negras” (Miguel Matamoros). 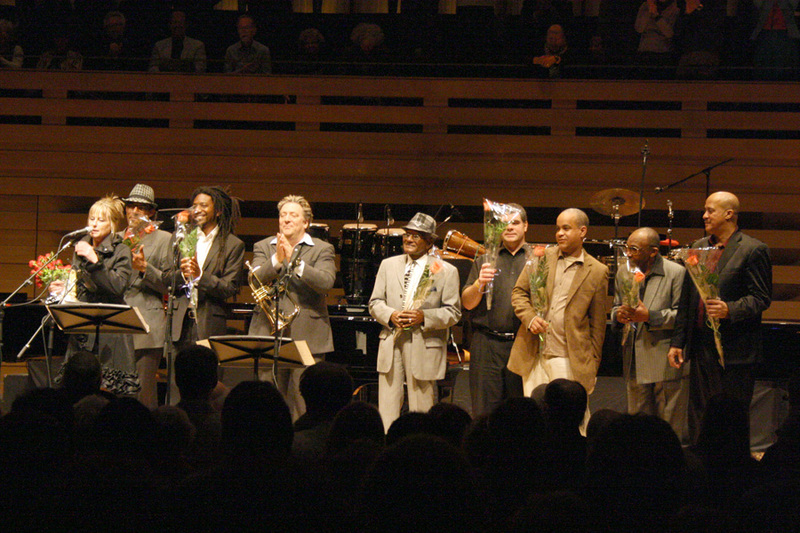 The youngest of the three Masters, Elio Villafranca, contributed his first composition of the night, the enchanting “Oguere’s Cha,” recorded by Villafranca on his first CD, “Incantations.” A very spiritual piece, “Oguere’s Cha” began with a beautiful chant masterfully performed by percussionist Luis (Luisito) Orbegoso, who’s very well known in the Toronto Latin and Jazz musical circuit. 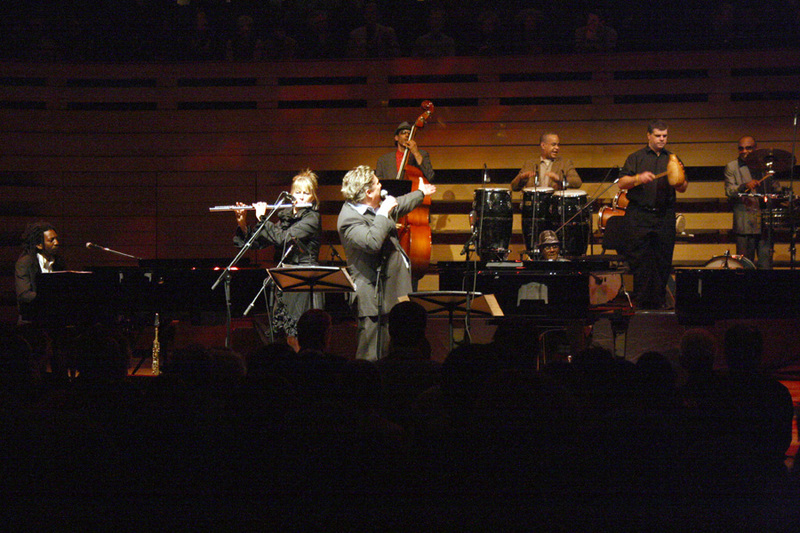 Elio and Hilario exchanged lyrical melodies and waves of rhythm and harmony in their interaction, bringing the call and response patterns to a high level of complexity. 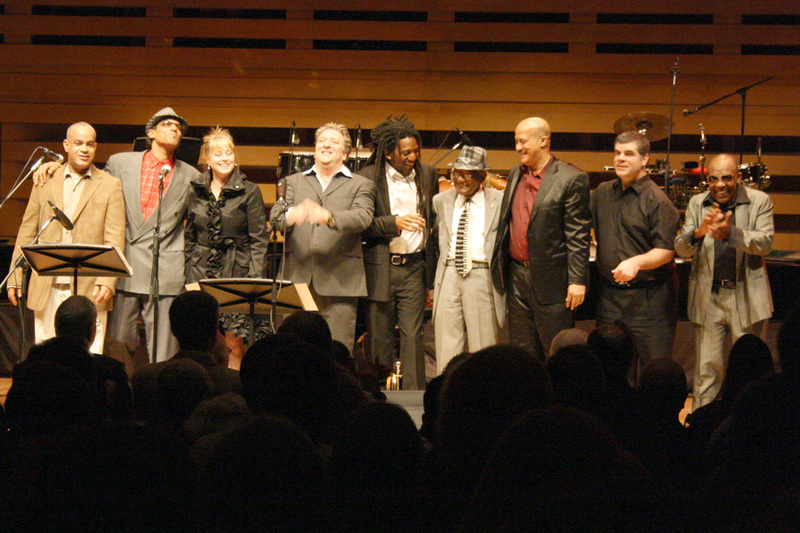 Right after, and closing the first part of the concert, another very special guest came on stage. 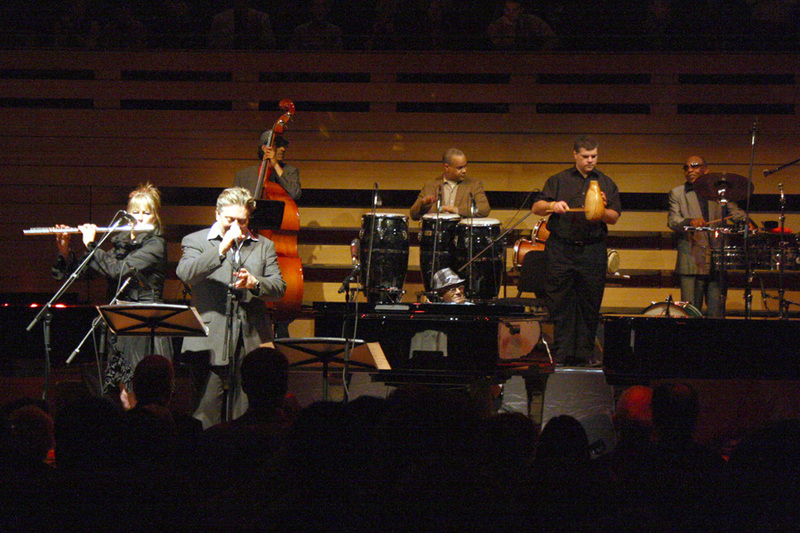 The legendary percussionist José Luis Quintana (Changuito) introduced “Timba Mabó,” a descarga written by Hilario Durán and Changuito during the recording of Hilario’s CD “Killer Tumbao” in Havana, Cuba, back in 1997. As it’s been customary on this Latin Jazz Series concerts, after the intermission, Mervon Mehta (Executive Director, RCM Performing Arts) joined the featured artist (in this case Jane Bunnett) for a brief chat. Bunnett shared her musical views and ideas with the audience, opening right after the second part of the show with a duet. 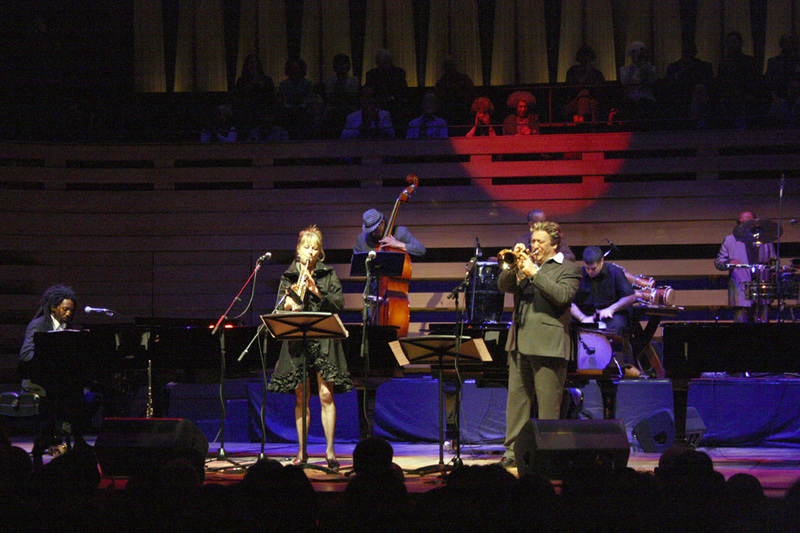 This time, Jane and Elio Villafranca performed a beautiful rendition of “Fool On The Hill” (Lennon/McCartney). An intricate Villafranca’studio of this popular piece unfolded, led by the piano, and nicely complemented by Bunnett’s flute. The duet became a trio. 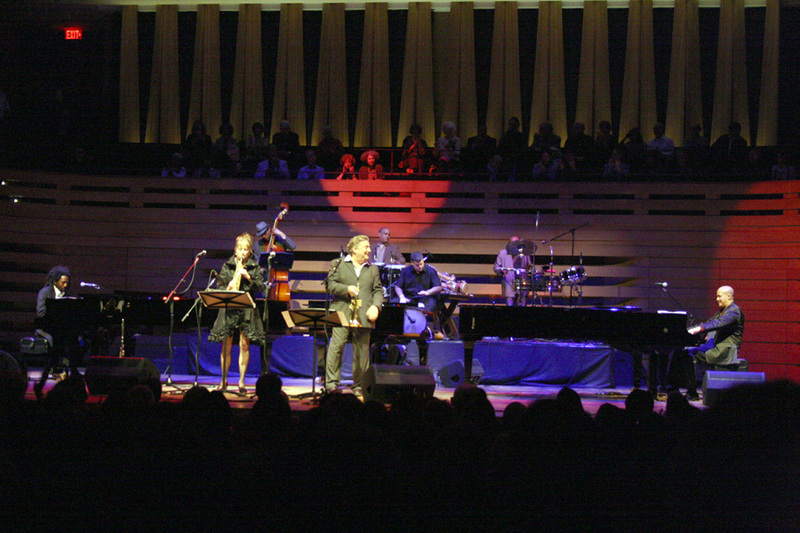 This time, Jane and her soprano horn were joined by Hilario Durán on the piano and “Changuito” on the timbales. They did a wonderful interpretation of “Quirino con su Tres,” a popular tune created by Emilio Grenet, who wrote music to a poem by Nicolás Guillén in the 1930’s. 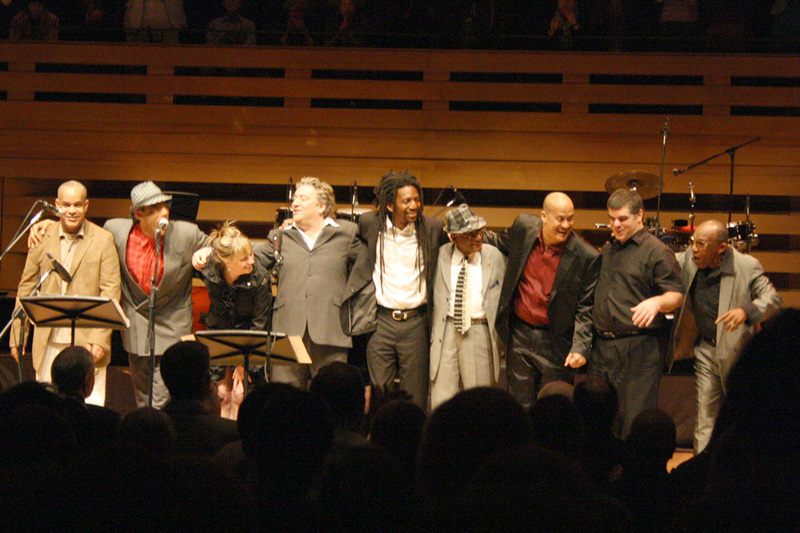 Then it was Durán’s turn of contributing a composition, “Havana City,” from his recording “Encuentro en La Habana,” made in Cuba in 2005 with his former bandmates from “Perspectiva.” A tribute to the city of dreams, as I call it, “Havana City” evoques the nostalgia of the artist’s motherland, the cherished souvenirs and the ghosts of a lifetime. 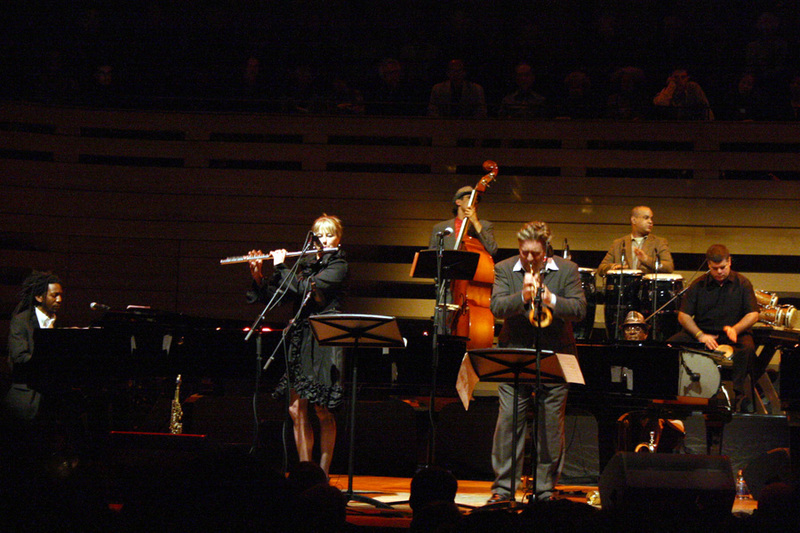 Then the classic song “Andalucia,” composed by Ernesto Lecuona, received a modern treatment. Arranged by Maestro Guillermo Rubalcaba. The three pianos participated in the dialogue. “Cacique” came after. 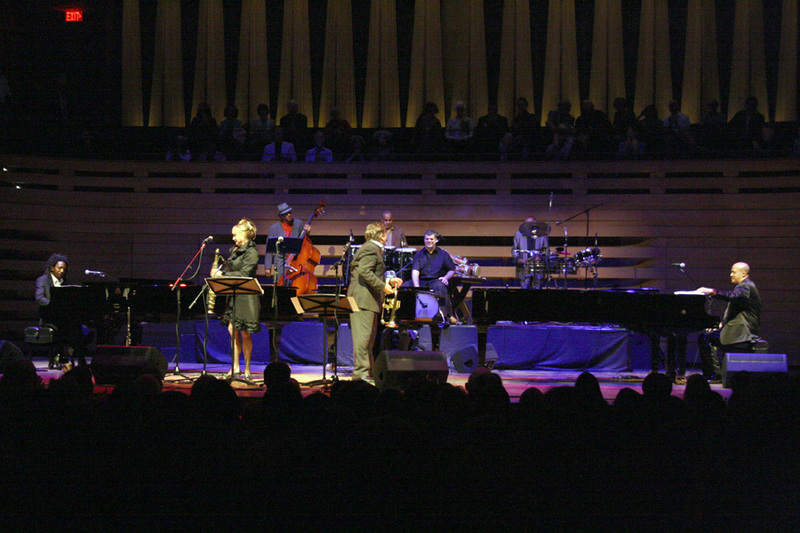 The second composition of the night by Elio Villafranca. Another spiritual song, introduced by Elio singing a chant/prayer to the Orisha Oduduwa (Odua). Possibly the most popular Cuban song of all times, “El Manicero,” written by Moisés Simons, ended a fantastic musical trip to the Caribbean island. 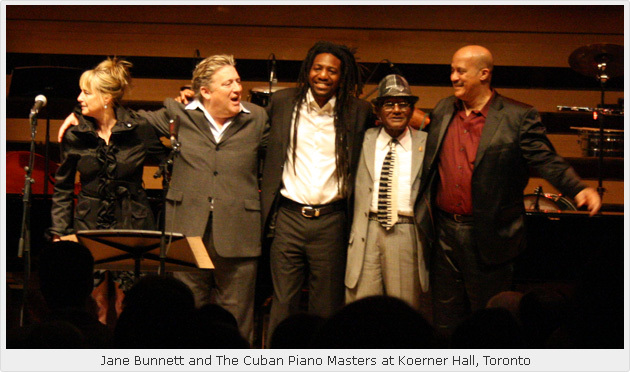 Three true Masters representing the best of the Cuban pianistic tradition, led by a more than passionate Canadian, took us on a helluva ride with their distinctive voices. Big kudos to Jane Bunnett for making this great concert a reality. Not an easy task to accomplish, this show is definitely one of the landmarks in Jane’s musical career. As if we hadn’t had enough, we were regaled with an encore: the descarga “Ron con Ron” (Rum with Rum), previously recorded on Bunnett’s Cuban Odyssey – Spirits of Havana project. 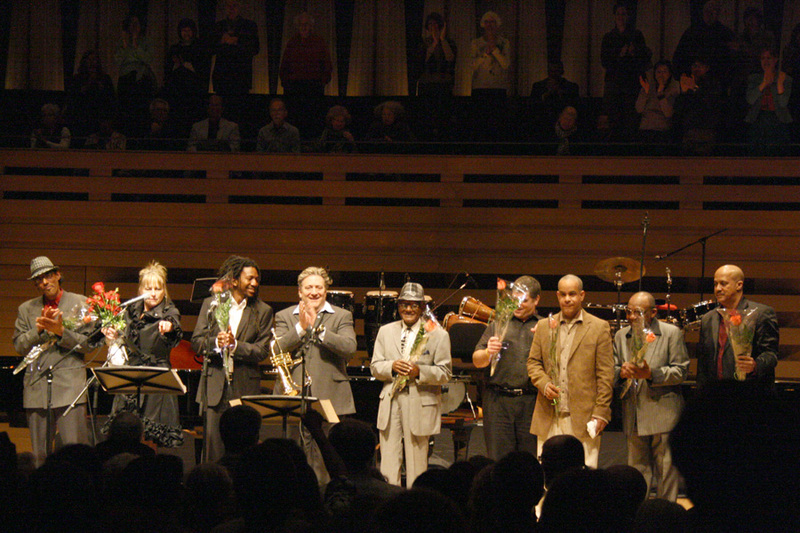 From an interview with Mrs. Bunnett conducted by John Goddard (Toronto Star daily), I extract the following, where Bunnett describes the significance of each player on this concert. 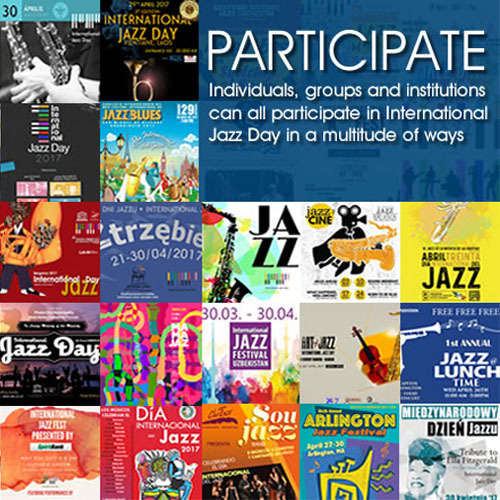 Hilario Durán: “In terms of the growing modern jazz scene in Cuba in the 1970s and 1980s, Hilario was one of the more profound players. He was big there. He had his own group “Perspectiva,” besides doing all the other work he was doing. 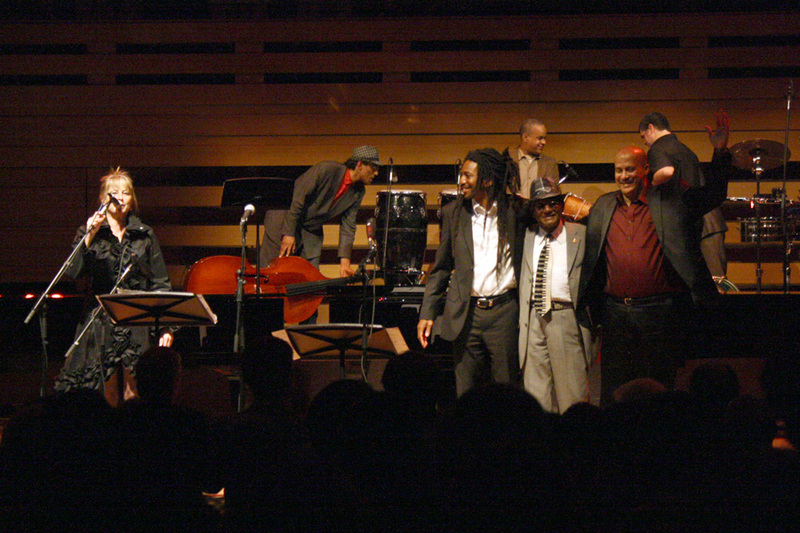 Elio Villafranca: “Elio is in his 30s, one of the new generation of Cuban musicians on the cutting-edge New York scene. I would say he’s a jazz musician first but really draws from his Cuban roots. He is from Pinar del Río, the little boot part of western Cuba.